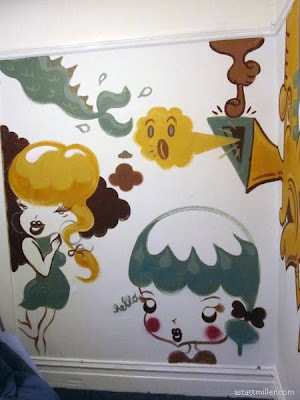 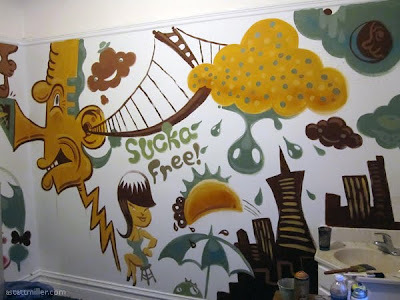 Here are some photos of a mural I painted at The Julian Hotel here in the Mission in San Francisco. 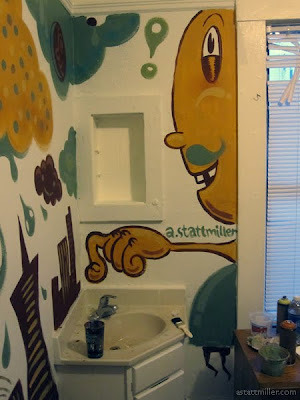 They are doing a mural project with local artists. 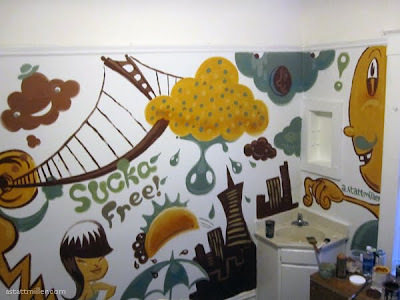 Pretty strait forward, each artist gets a room to attack with creativity(or in layman terms, paint). I painted up room 1, right by the front door!